Electronic device manufacturers can have significant test requirements to adhere to. Keystone Compliance works with electronic device manufacturers on a daily basis to determine requirements and conduct necessary testing. Many manufacturers take advantage of our research and development lab time to determine early in the design or prototype phase where potential trouble points may lie. This process is highly recommended and can be a large time and money savings since it is easier to make changes during prototype than later in the product cycle. 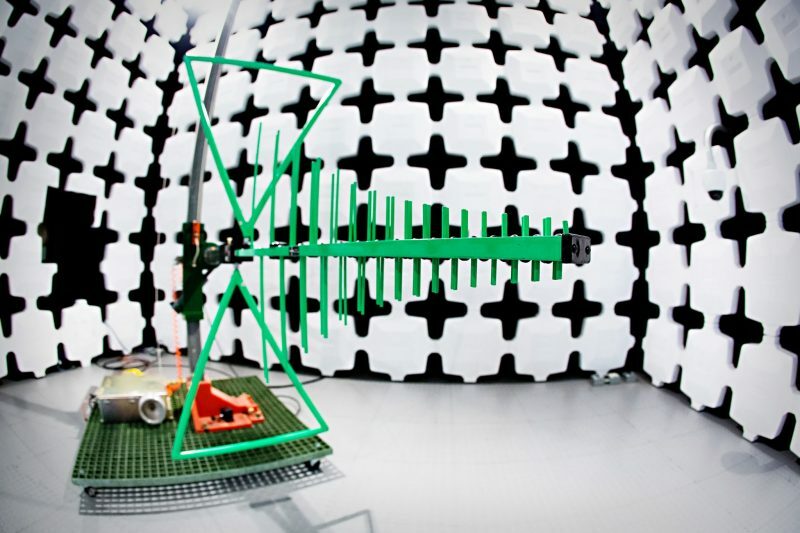 From an electromagnetic compatibility standpoint, Keystone’s scope of accreditation includes a significant amount of commercial and military testing capabilities. Having an A2LA accreditation means that a Keystone Compliance test report will be recognized in over 50 world economies. This eliminates the need for retesting in most foreign markets, saving time, money and usually a lot of aggravation. Our environmental capabilities simulate the impact environmental conditions will have on the device during operation or transportation. Our scope includes vibration, temperature, humidity, thermal shock, salt-fog, dust, solar radiation, altitude, pneumatic shock and several other similar tests. With large chambers and shakers, we can accommodate larger devices for most tests. In addition to EMC and environmental testing, Keystone also provides ingress protection and transportation testing. Ingress protection testing tests the ability of an enclosure to protect equipment from external contaminants such as dust, sand or water. Our ingress protection testing ranges from wind and rain, dripping water, spraying water, completely immersing a product in water and dust testing. Another test capability that Keystone Compliance offers manufacturers is package testing. Keystone is an International Safe Transit Association “ISTA” certified laboratory. For more information, please visit our Package Testing Overview page. Keystone Compliance assists manufacturers of electronic devices with EMC and environmental compliance. Please contact us for more information on how Keystone Compliance can assist you with identifying and fulfilling your needs.